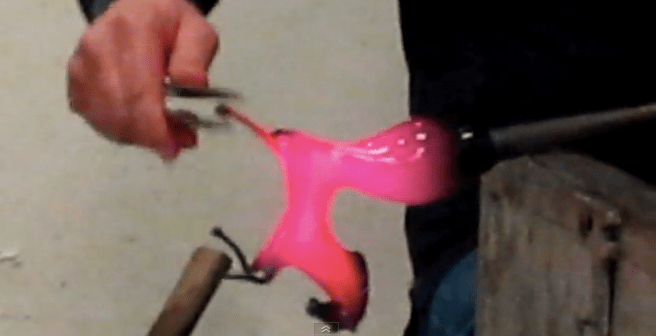 Glassblowing is beautiful to watch: seeing the artist mold the pliable molten glass into a shape using just their breath (and sometimes tongs) as the primary tools. This video shows a glassblower making a horse sculpture. The way the horse twists and curves as he tweaks the shape, it appears to be coming to life!